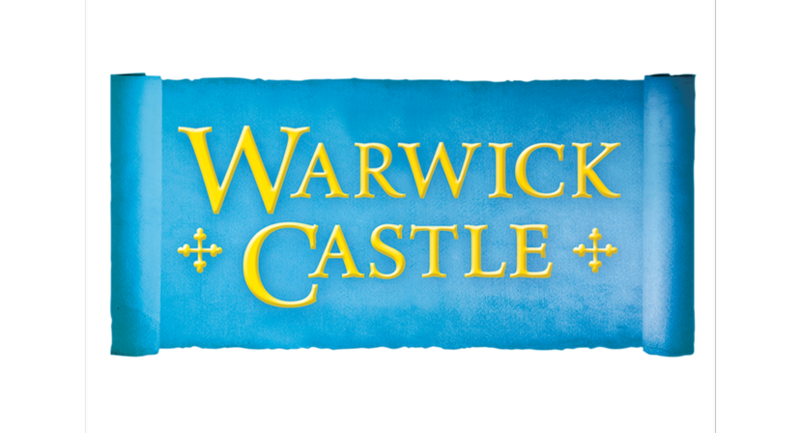 Warwick Castle, set in the heart of Warwickshire, is opening its gates to both corporate and private party bookers providing a truly unique venue for Christmas parties, teambuilding events, corporate meetings and unique weddings. 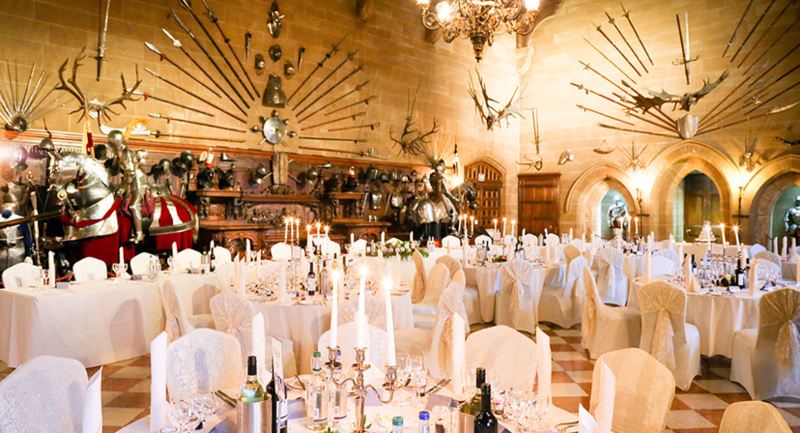 Whether you are looking to hold an elegant dinner in the captivating Great Hall or an authentic feast fit for a King, our dedicated team will ensure the event exceeds your expectations. 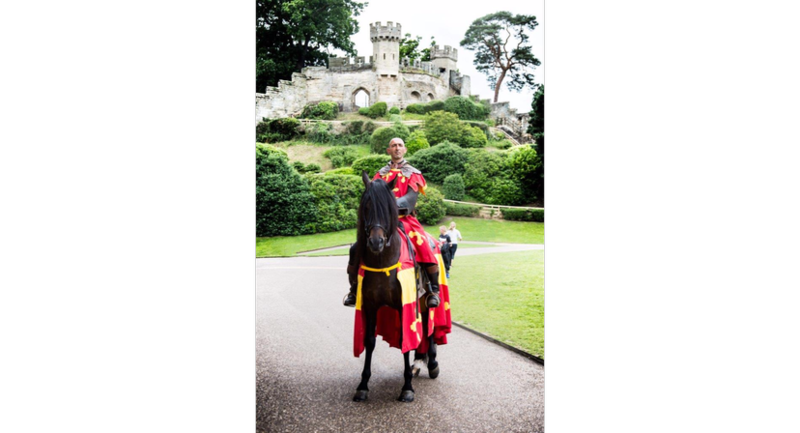 In addition to our range of existing packages we can help tailor an event to your requirements that will ensure an experience like no other. 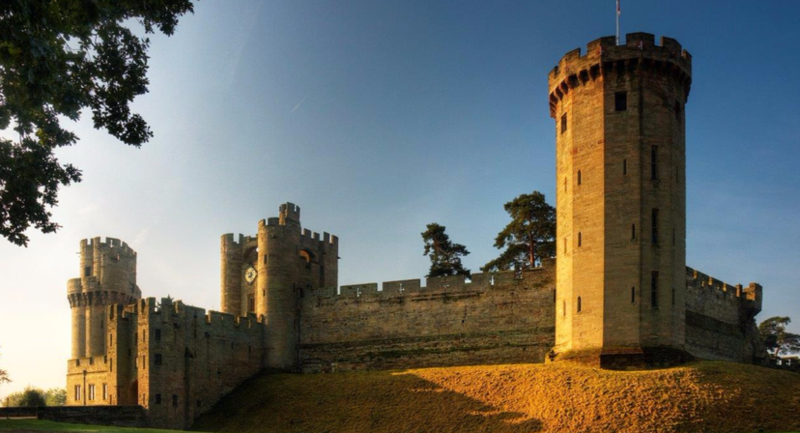 Set within 64 acres of picturesque grounds Warwick Castle is only 86 minutes by train from London and is within easy reach of Birmingham and other major cities throughout the UK. 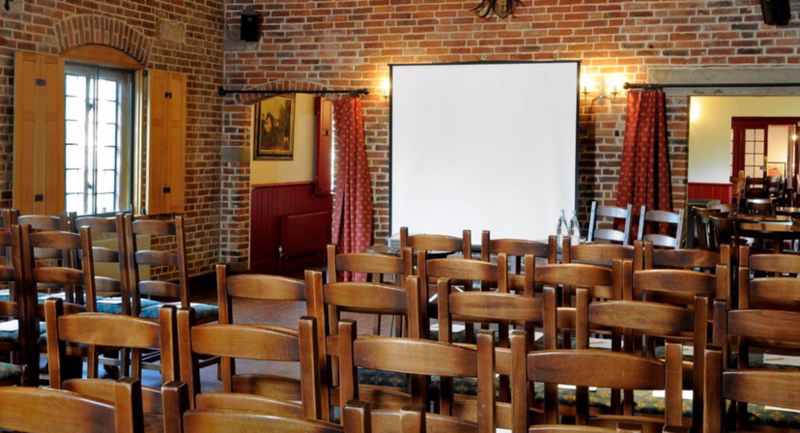 Our Georgian Coach House provides the ideal venue for a meeting and afterwards explore the Castle including 64 acres of Capability Brown landscaped gardens. The Coach House is self-contained with three separate breakout areas and toilets. 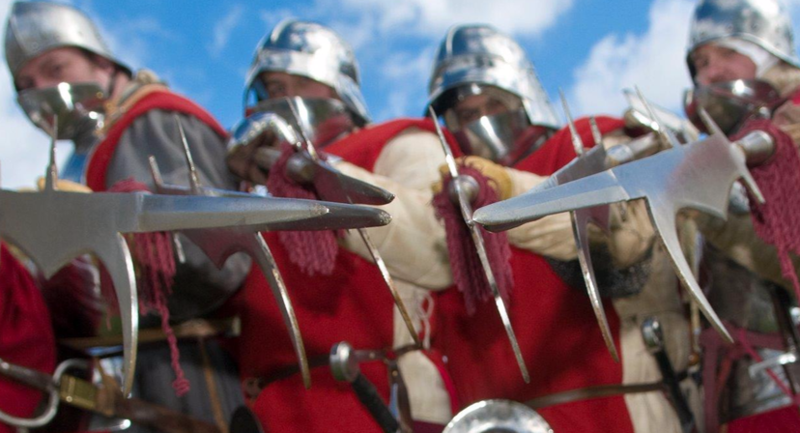 Combine a meeting with our exhilarating team building packages. 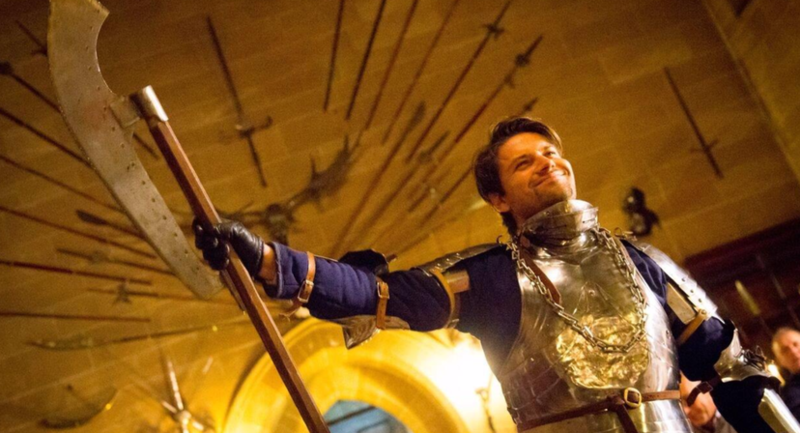 In a new take on team building we have packages ranging from the medieval to the contemporary which are tailored to suit any style and budget. 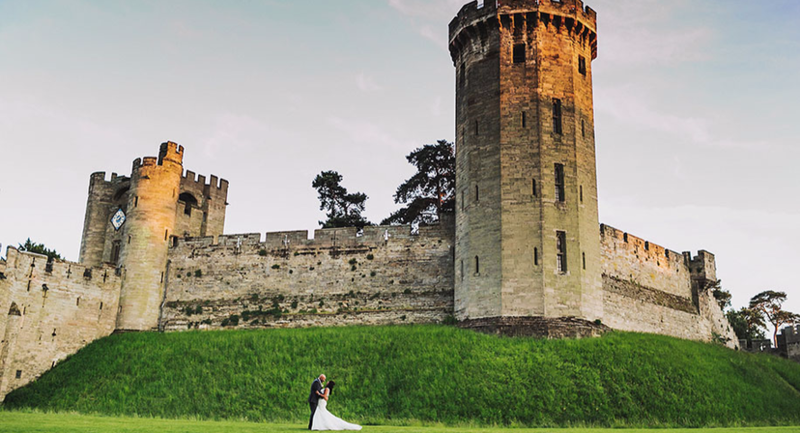 From intimate wedding breakfasts to magnificent receptions, your wedding at Warwick Castle will be a truly memorable and unique day. 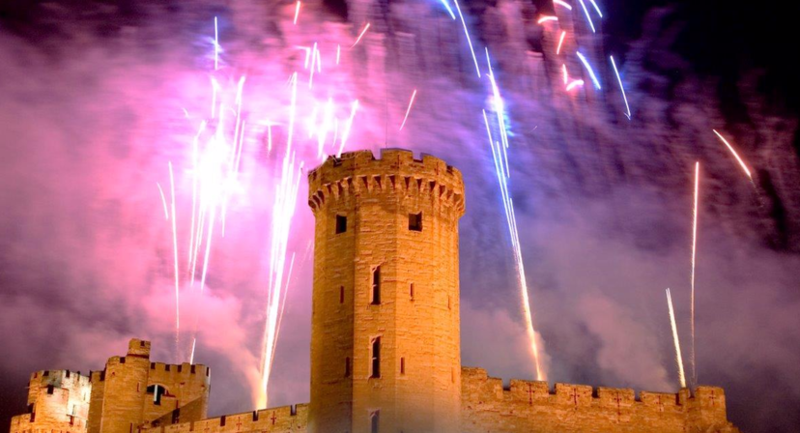 Our dedicated and experienced team will ensure that you realise the bespoke day you have planned and always dreamed of. 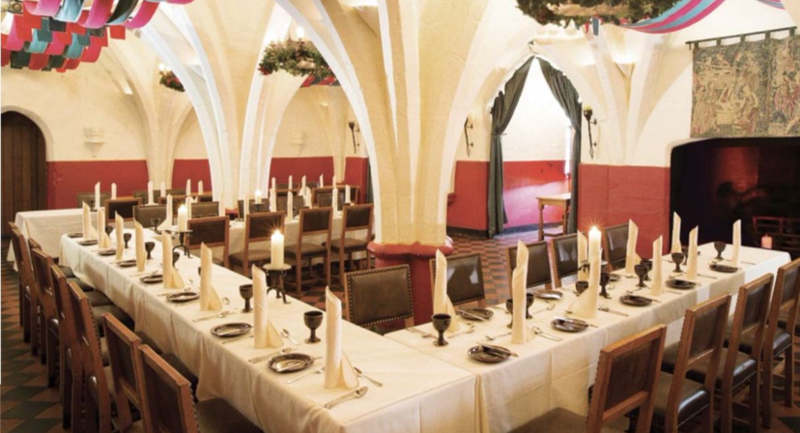 For Christmas packages and festive banqueting please visit our Christmasvenues.com profile, where you can view our available dates and book tickets. But be quick as availability is already limited! 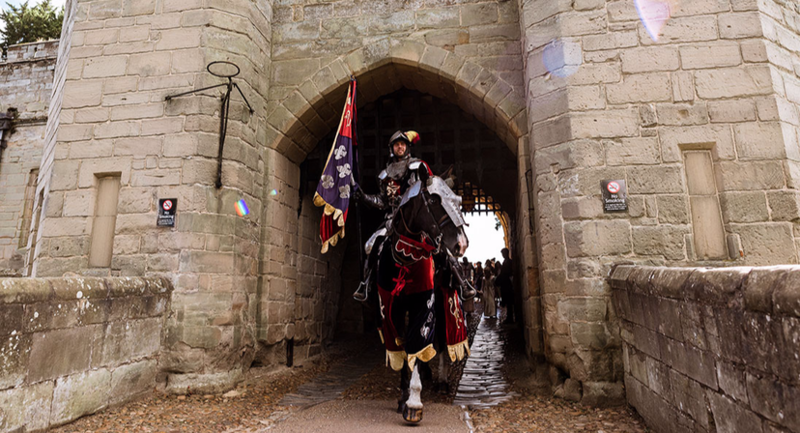 The castle is open all year round and also offers seasonal events including Halloween, Christmas, Fireworks, concerts and The Kingmaker Banqueting can all be viewed and booked via our Chooseyourevent.co.uk profile. 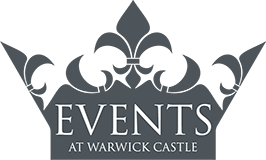 Click on the crown below to download our events brochure, or contact our dedicated team through the enquiry links shown above. 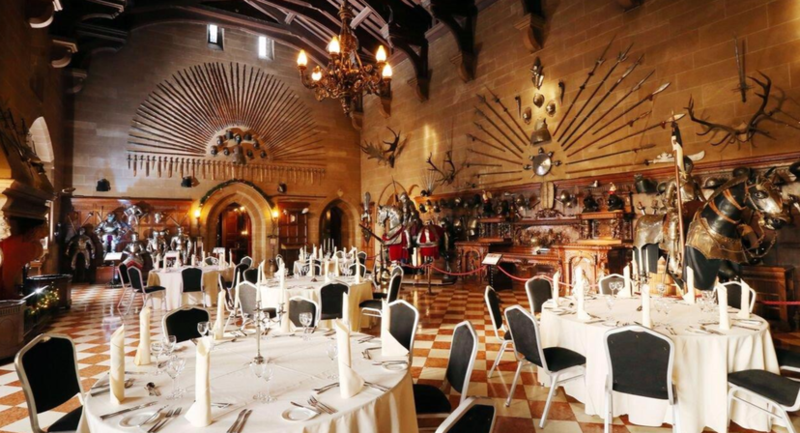 At the heart of Warwick Castle lies the 17th century Great Hall, steeped in History and boasting an impressive collection of artefacts this remarkable venue is ideal for a range of events from glamorous drink receptions, traditional gala dinners and spectacular award ceremonies to immersive medieval banquets. 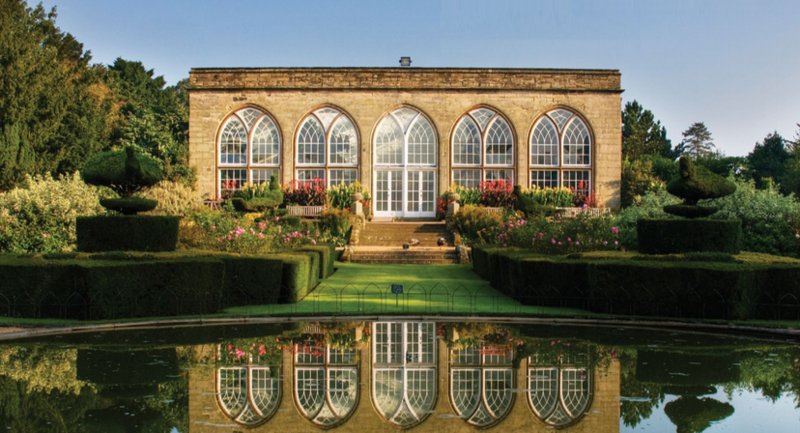 Booking an event in The Great Hall also grants unrivalled access to the lavish interiors of the State Rooms and in the warmer months the spectacular surroundings of the Central Courtyard and the Conservatory Tea House. 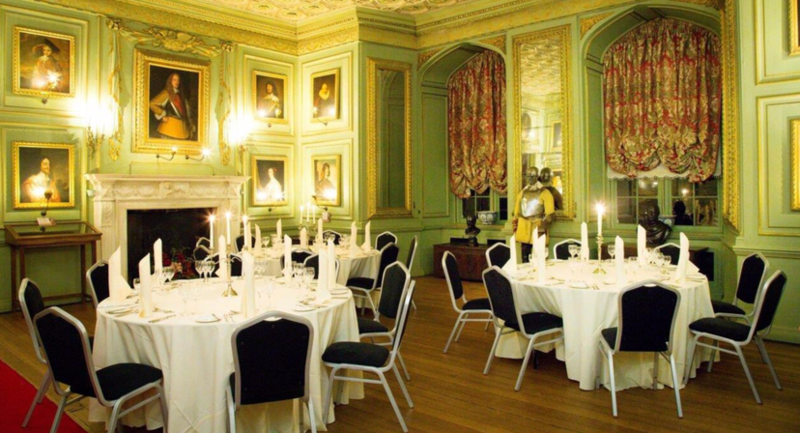 For a more intimate dining affair, soak up the opulent surroundings of one of our State Rooms. 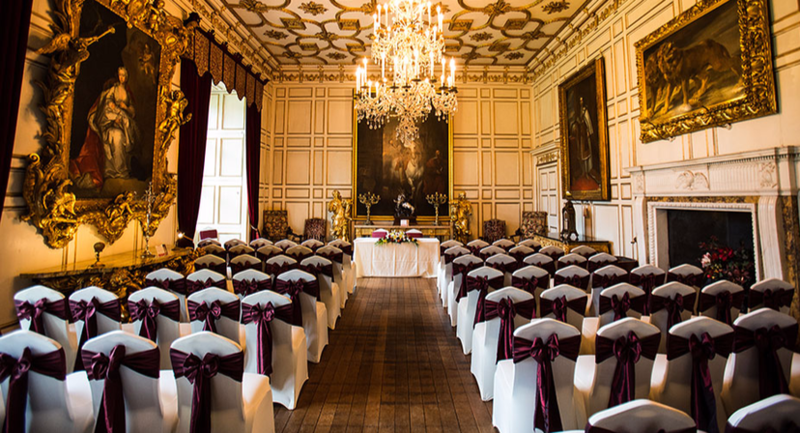 For an intimate affair soak up the opulent surroundings of the State Dining Room. 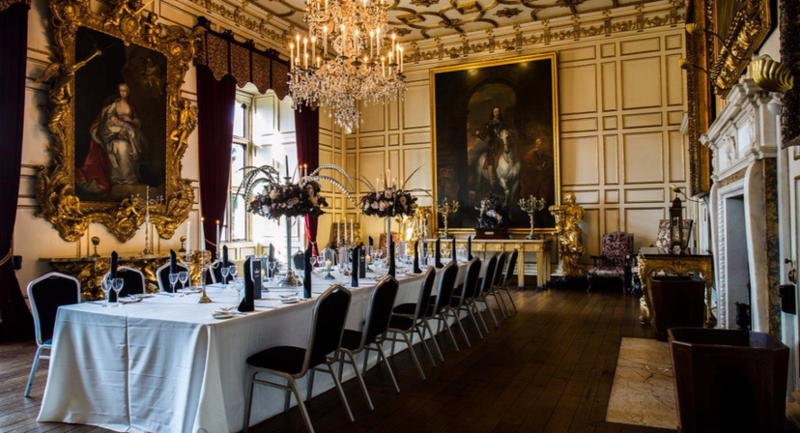 Enjoy a fine dining experience surrounded by astonishing works of art within a room that Her Majesty Queen Elizabeth II once dined.